Emerald's Hide-A-Way Ottoman Twin Sleeper Sofa is perhaps our most unique, compact, and convenient sleeper sofa. 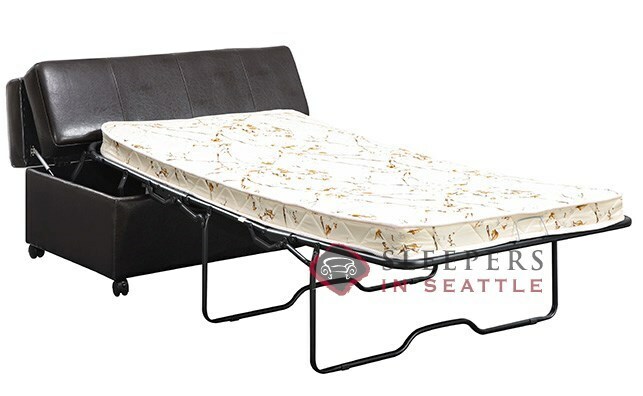 Perfect for a wide array of rooms, the Ottoman Sleeper provides a great night's sleep in any pinch of a situation. Available on sale and in stock, ready to ship nationwide today. I honestly didn't realize that ottoman sleepers were a thing. I'm glad they are. I needed to put a bed in my guest room, but no matter how I cut it, there was really not enough space. Until I came across this ottoman. 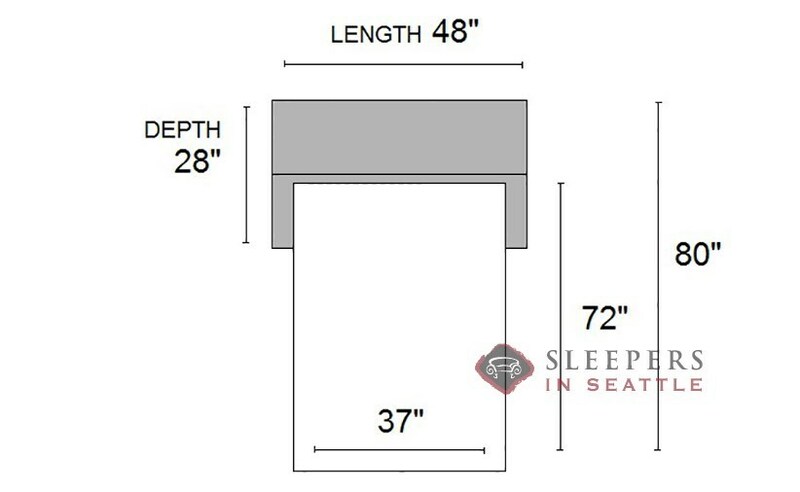 Before you open up the sleeper, the ottoman is about four feet by two feet, and fits in basically any space ( you could shove it in the closet if need be). When you do pull the bed out, it's not exactly the lap of luxury, but it's suitable for any regular sized person. We bought this with my grandson in mind and it's worked out very well. If you need another bed in a tight spot, this s the way to go. what is the material? it says fabric on one page..but looks like "leather" is it faux leather, real leather or fabric? what is the color? I need to know in order to decide if I will purchase. This product is upholstered in a faux leather, in a dark chocolate brown, as shown in the image. Do u have this bed in full how muchUMDN. 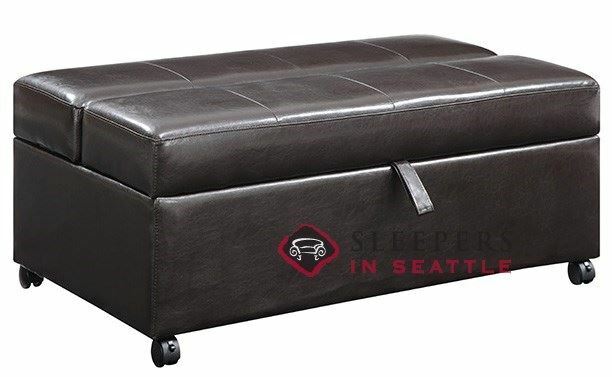 Great to hear you're enjoying the Emerald Ottoman Sleeper! Unfortunately, we do not carry (and neither does the manufacturer) a slipcover for this model--however with these straightforward and not uncommon dimensions, you may be able to find an alternative online! The Emerald Hide-A-Way sleeper has a pull-out Twin size bed. 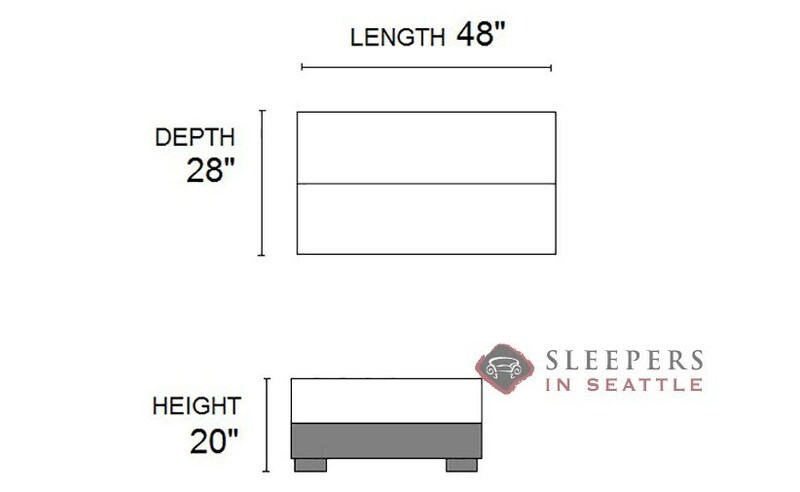 The mattress is a 4" innerspring and packs suprising comfort in a compact space.